(HealthDay)—Subcutaneous injection of platelet-rich plasma (PRP) may be effective for treating alopecia, according to an experimental study published Nov. 11 in the Journal of Cosmetic Dermatology. 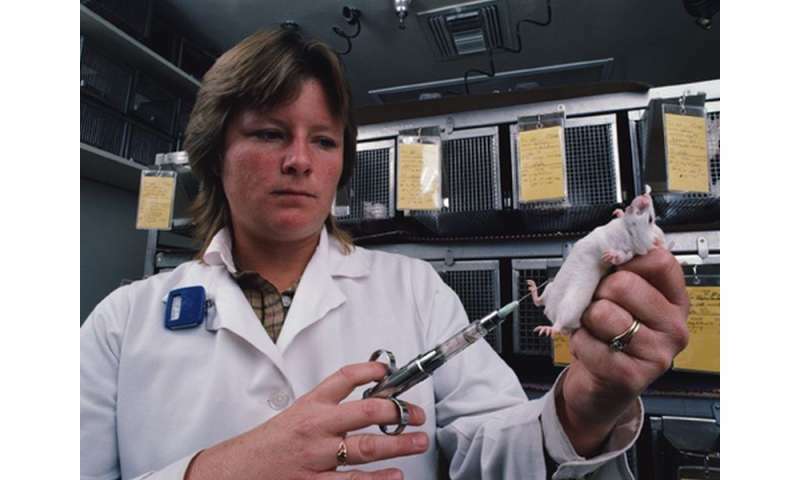 Sophie Orliac, M.D., from Université Paris Diderot, and colleagues assessed the potential of PRP subcutaneous injection to treat alopecia and to evaluate local toxicity in 12 hairless rats. Subcutaneous injection occurred in four quadrants using either PRP, platelet-poor plasma (PPP), physiological serum (PS), or no treatment. The researchers found that hair density was significantly improved at day 28 and at month six for PRP versus PS (P = 0.0156 and 0.0313, respectively) and PPP (P = 0.042 and 0.046, respectively). There was significant histological improvement between day 28 and month six for PRP versus PPP and PS for vessels (P = 0.0160 and 0.021, respectively), collagen (P = 0.0036 and 0.032, respectively), and epithelium (P = 0.0138 and 0.022, respectively). There was no local toxicity. "Our study suggests that subcutaneous PRP injections using controlled concentration of platelets and leukocytes improve hair growth," the authors write.